ROMNEY, W.Va., Oct. 20 — What a difference a mile makes. 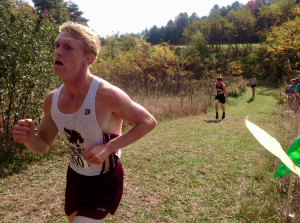 At one of the more popular spectator spots along the Hampshire High School cross country course, Jefferson senior Nick Whitehair rounded the bend in first shortly after passing the two-mile point. He was followed closely by Spring Mills sophomore Zane Braithwaite and, in third, Jefferson teammate and fellow senior Mason Young. Close behind him was junior Bryson Dolly of host Hampshire. Jefferson senior Nick Whitehair led the field shortly past the 2-mile mark. Teammate Mason Young, third in the picture, overtook him and Spring Mills sophomore Zane Braithwaite for the victory. Over the final 5,000 feet, however, the order didn’t remain the same. Young surged and caught both Braithwaite and Whitehair on Thursday, an unseasonably warm late-October afternoon at the West Virginia Region II Class AAA Championship in Romney. Temperatures reached into the mid-80s but Young had an extra gear no one else could match. He entered Rannells Field and stopped the clock in 17 minutes, 53.3 seconds. Whitehair was second in 18:02, Braithwaite third in 18:08.5 and Dolly held onto fourth place to finish in 18:15.5. The top three teams and top 10 individual finishers from each of the two varsity races advanced to the Class AAA state title meet next weekend at Cabell Midland High School in Ona. Jefferson dominated the team standings with a meet-low 27 points, highlighted by four runners inside the top eight, all scoring five in the top 12 and all seven varsity harriers no higher than 14th place. Musselman finished second with 66 points and Spring Mills edged Hampshire for third place, 80 points to the host Trojans’ 85. Hampshire junior Hannah Lipps had multiple reasons to not run her best on Thursday. But Lipps’ second-best effort was still better than the rest of the field — by a lot. 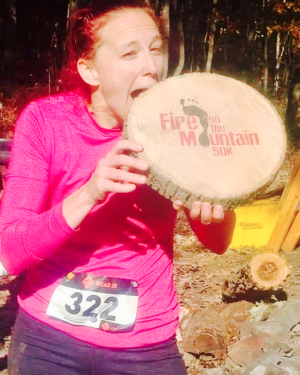 With no run to challenge her, Lipps, galloped her way to the finish at the goal line of the football field in 20:09.8, only 15 seconds slower than her winning time on Oct. 1 in the Buffalo Wild Wings Stampede on the same course. Hampshire junior Hannah Lipps was all by herself by the time she made it to the 2-mile point. She finished more than 82 seconds ahead of the next runner. Hedgesville’s Jessie Hogbin earned runner-up honors in 21:32.1, while Jefferson freshman Vanessa Pratt took third (21:56.2) and fellow Cougar Morgan May finished fourth (22:22.1). Blake Hull, a Spring Mills junior, rounded out the top five in 22:38. Lipps was the first of four Trojans inside the top 15. She was followed by Catherine Wylie (6th, 23:22.2), Lilly Buckley (8th, 23:36.4) and sophomore Della Moreland (15th, 24:37.4). 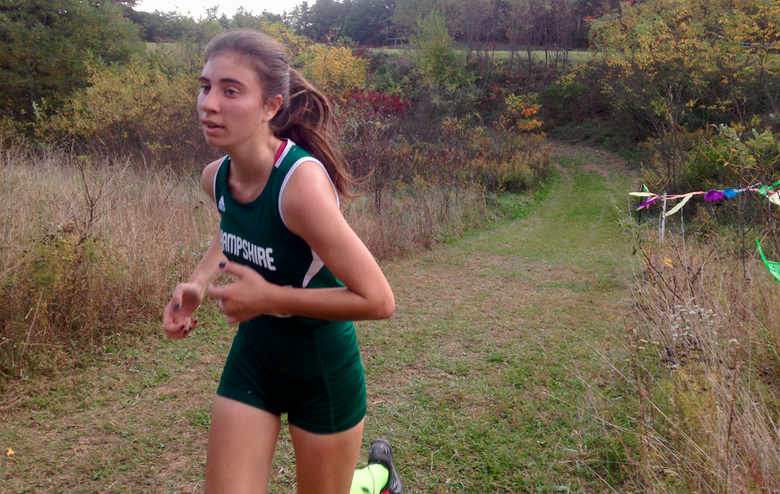 Those efforts, along with freshman Jada Fouts 25th-place finish in 26:13.7, helped carry Hampshire to a state meet-qualifying second place with 52 points. Jefferson placed four runners in the top 10 and finished atop the team standings with 43 points. Musselman was third with 68 points.